The Avenue of the Giants follows along the old stage coach road built in the 1880’s. 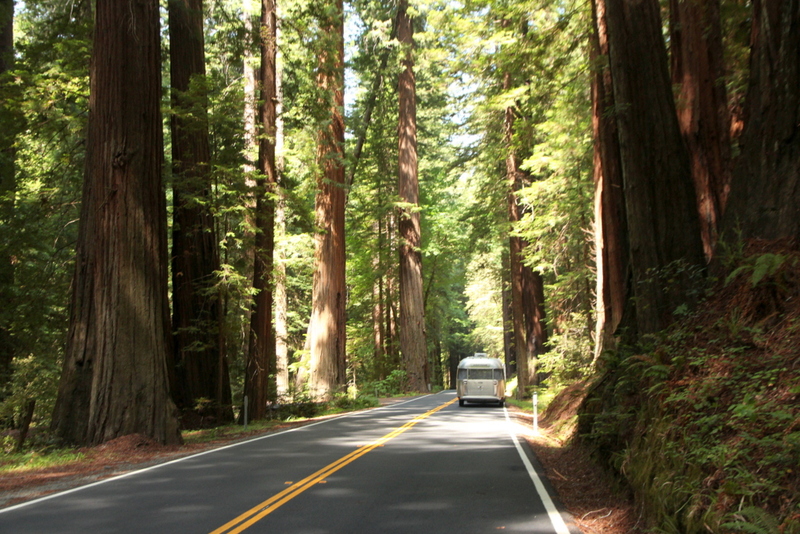 Only recently (1960) was the roadway officially dedicated to the Humboldt Redwoods State Park. 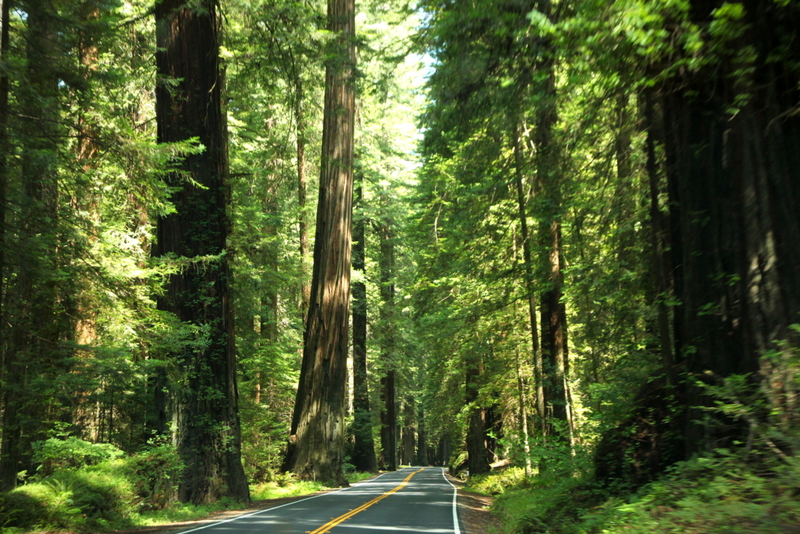 The avenue runs about 32 miles on the outskirts of the park, through the small towns and along the south fork of the eel river. 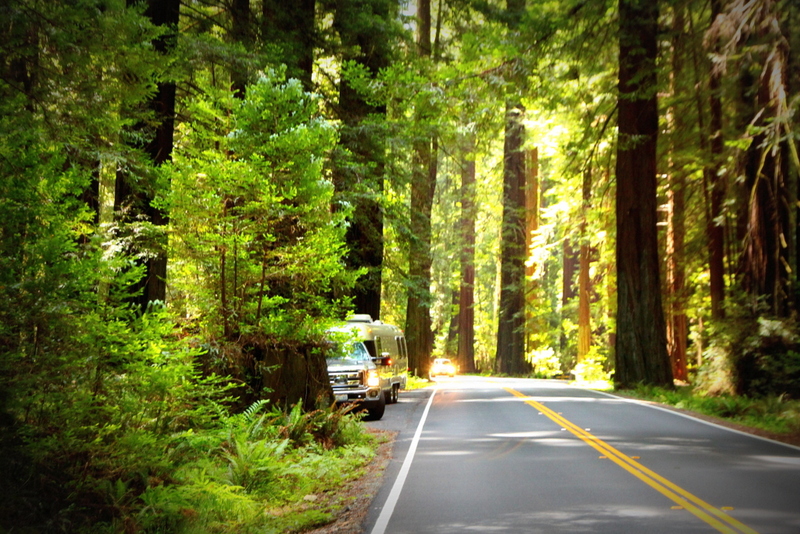 We enjoyed our drive through parts of the Avenue every day of our stay near the Redwood SP. It’s a Sunday drive worth taking seven days a week. Now time for a little bit of movie trivia. Are you a Star Wars fan? Did you know the scenes from the speeder bike chase through the woods in the “Return of the Jedi” were actually filmed here on the Avenue of the Giants and other trails in the Humboldt Redwoods SP? The forest moon of Endor, the planet home of the Ewoks in “Return of the Jedi”, well, many of those scenes about Endor were filmed in the Jedediah Smith Redwoods SP and other close by parks. Google the movie and you can find more detailed information. We didn’t see any Ewoks on our trails, but keep your eyes peeled for a rope ladder leading up to the Ewok village.